There is no better way to end a feast on St. Patrick’s Day than with a selection of vibrant green desserts! 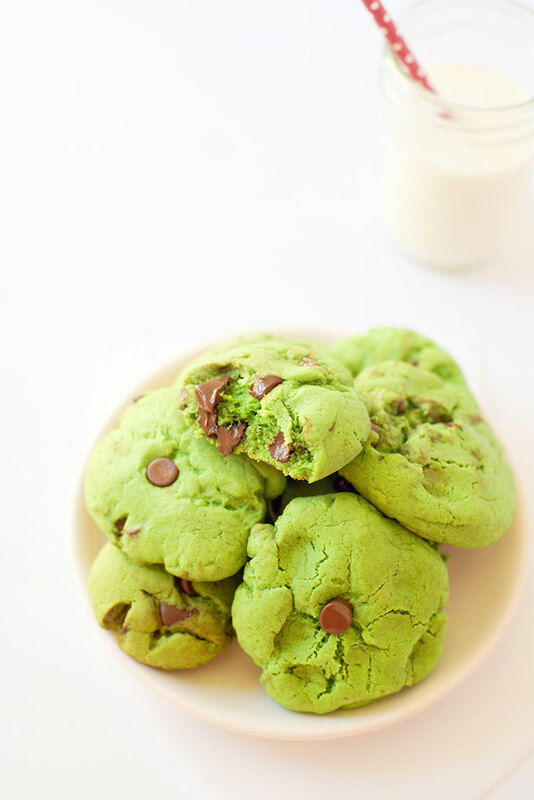 Think Green Mint Chocolate Chip Cookies and include them on your list. 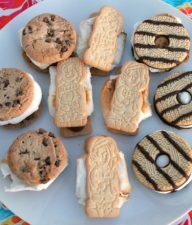 Super soft, perfect for this occasion and really simple to make, these cookies are sure to impress your friends, family…and why not? 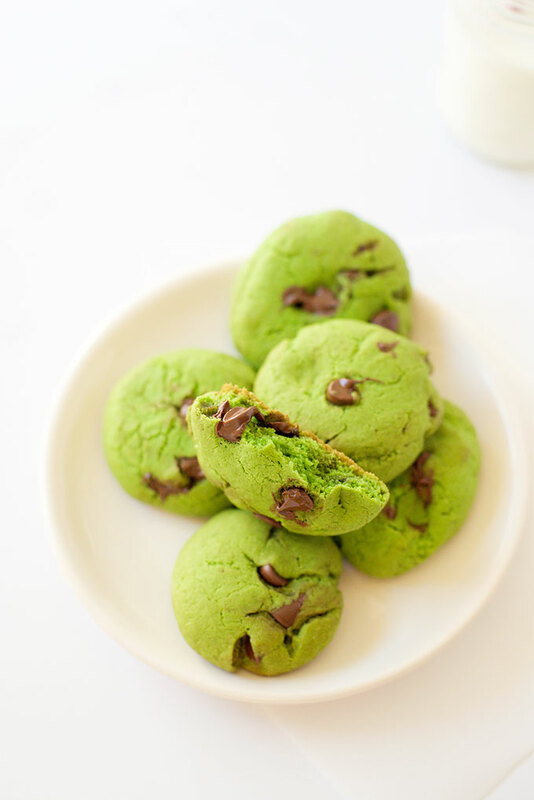 Any leprechaun out there I If you don’t like mint flavor, you can still enjoy these green chocolate chip cookies simply by replacing the peppermint extract with vanilla essence. 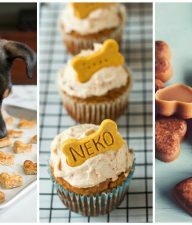 To make this recipe you’ll only need soft butter, white sugar, eggs, flour, chocolate chips and of course green food coloring. 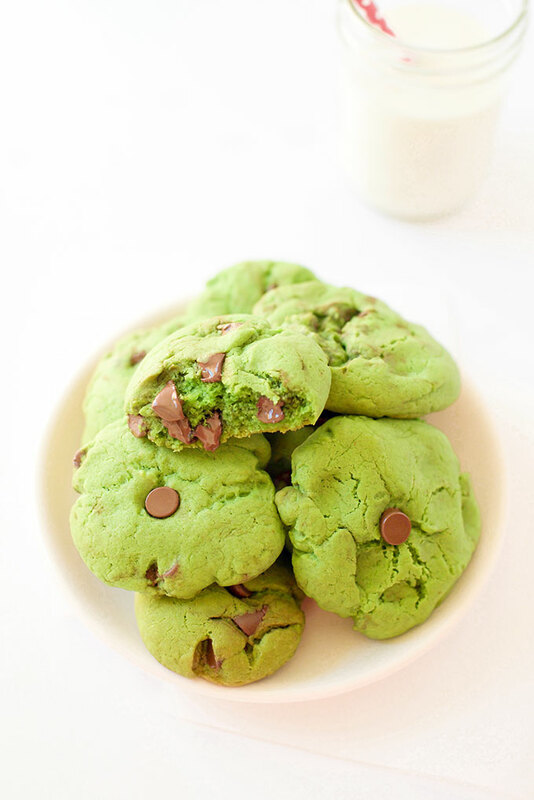 It is more or less a regular chocolate chip cookie recipe where I have added peppermint extract and green food coloring. 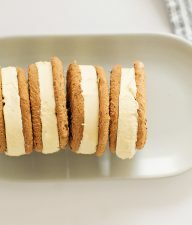 You’ll notice that I have mentioned just white sugar and not any brown sugar as most of us use at this type of cookies. Why? 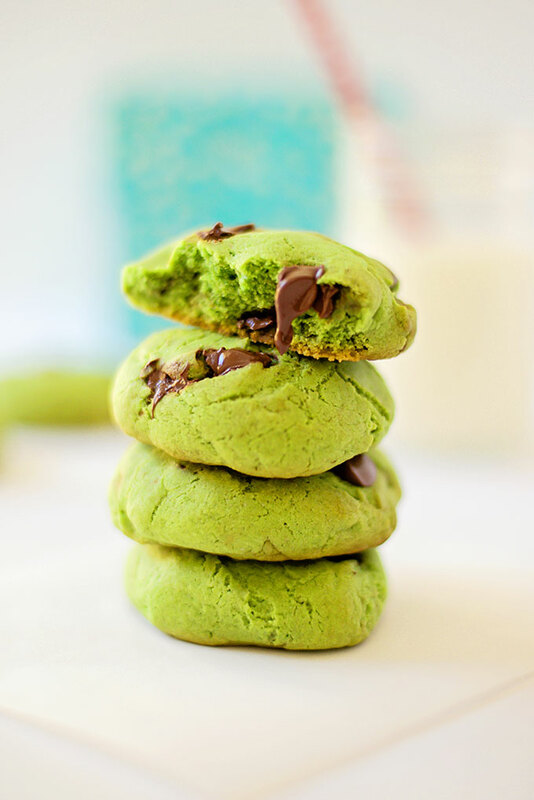 Because this way the dough will not get darker and you’ll get bright, vibrant green cookies. 10 minutes later your house will smell amazing from a fresh batch of soft Green Mint Chocolate Chip Cookies! Line 2 baking trays with baking/ parchment paper. Add soft butter and sugar to a large bowl and using a hand mixer beat them until combined and the mixture is light and fluffy. Add 1 egg at the time and incorporate in the mixture, then the extra yolk, peppermint extract and green food coloring and beat some more. In a small bowl combine all dry ingredients: flour, baking powder, baking soda and salt. Add this mixture to the wet one and give a good mix. Add chocolate chips to the dough and mix until just combined. Using a cookie scoop or your hands form balls of dough and add them on the baking trays. 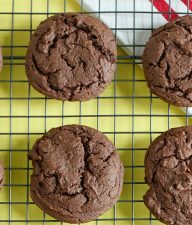 Bake for 8-10 minutes, or until the cookies barely start to brown on the edges (you want the cookies to be green, not browned). Remove the cookies from the oven and allow them to cool down a bit before serving them. Enjoy!